I recently started taking my 3 pets to IVWC after moving from Norwalk to Des Moines. Several friends recommended Dr. Wilke and staff. My 14 year old lab mix was losing weight, having urinary incontinence, and trouble walking. Dr. Wilke did a full blood workup, started my dog on bladder strength herbs, and took xrays. The xrays showed the need for laser therapy and acupuncture. We started treatments in May, and now, in November, people can't believe that my 14 year old dog is 14! She's walking great, is happier and in far less pain. 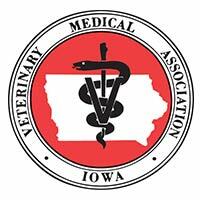 Thanks to all the staff at Iowa Veterinary Wellness Center!